As Kiwis head out in droves to enjoy New Zealand's beaches, rivers, lakes, swimming pools and other water spots this Christmas Surf Life Saving New Zealand, Coastguard and Water Safety New Zealand are urging people to think about water safety for themselves, friends and family. Water Safety New Zealand CEO Jonty Mills says drowning remains the number one cause of recreational death and the number three cause of accidental death in New Zealand with 92 preventable fatalities in 2017. “It’s our hope every family makes water safety a priority this summer. Have a discussion about water safety ahead of the holidays. Visit www.watersafety.org.nz and do a refresher on staying safe in all our different aquatic environments” says Mills. Surf Life Saving New Zealand CEO Paul Dalton echoes Mr Mills’ sentiments and adds that “choosing a lifeguarded beach and swimming between the flags is the best way to ensure the safety of your whole family at the beach this summer,” with volunteer surf lifeguards patrolling over 90 locations around the country. Mr Dalton also encourages people to search for patrolled beaches at www.findabeach.co.nz where they can see patrol locations, patrol times, and facts about their favourite local beach. “There is no doubt swimming between the flags is the safest place to swim and findabeach.co.nz is the best way to find where the lifeguarded beaches are. “We also encourage having a chat to your local surf lifeguards when you arrive at the beach as they can help you understand what is happening at the beach, and maybe even help you learn to spot where a rip current is,” he added. Coastguard CEO Patrick Holmes says wearing a lifejacket is key to staying safe when out on the water. “Lifejackets save lives, but old lifejackets are no good in an emergency,” he says. Mr Holmes also urges boaties to take two separate forms of waterproof communication, check the weather forecast, avoid alcohol and skipper responsibility. 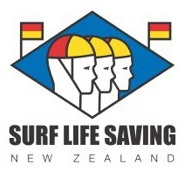 SLSNZ, Coastguard NZ and Water Safety NZ are charities. The frontline rescue services of SLSNZ and Coastguard rely on volunteers and support from public donations in their work to reduce the drowning toll. *Please click here for the SLSNZ media kit, including access to imagery. Original generation time 1.6834 seconds. Cache Loaded in: 0.0006 seconds.